Nov. 3: This post has been updated. Pennsylvania’s Department of Environmental Protection soon identified the likely cause and came up with a quick fix. The Monongahela, a drinking water source for 350,000 people, had apparently been contaminated by chemically tainted wastewater from the state’s growing natural gas industry. So the DEP reduced the amount of drilling wastewater that was being discharged into the river and unlocked dams upstream to dilute the contamination. In August, contamination levels in the river spiked again, and the DEP still doesn’t know exactly why. And this month the DEP began investigating whether drilling wastewater contributed to the death of 10,000 fish on a 33-mile stretch of Dunkard Creek, which winds through West Virginia and feeds into the Monongahela. A spate of other water contamination problems have also been linked to gas drilling in Pennsylvania, including methane leaks that have affected drinking water in at least seven counties. Oil and gas wells disgorge about 9 million gallons of wastewater a day in Pennsylvania, according to industryestimates used by the DEP. By 2011 that figure is expected to rise to at least 19 million gallons, enough to fill almost 29 Olympic-sized swimming pools every day. That’s more than all the state’s waterways, combined, can safely absorb, DEP officials say. "I don’t know that even our [water] program people had any idea about the volumes of water that would be used," said Dana Aunkst, who heads the DEP’s water program. Much of the wastewater is the byproduct of a drilling process called hydraulic fracturing, or fracking, which pumps at least a million gallons of water per well deep into the earth to break layers of rock and release gas. When the water is sucked back out, it contains natural toxins dredged up during drilling, including cadmium and benzene, which both carry cancer risks. 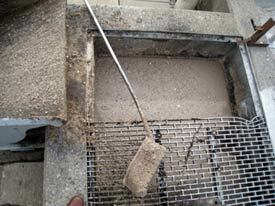 It can also contain small amounts of chemicals added to enhance drilling. But DEP officials say one of the most worrisome contaminants in the wastewater is a gritty substance called Total Dissolved Solids, or TDS, a mixture of salt and other minerals that lie deep underground. Drilling wastewater contains so much TDS that it can be five times as salty as sea water. Large quantities of TDS can clog machinery and affect the color, taste and odor of drinking water – precisely the problems reported along the Monongahela. While TDS isn’t considered particularly harmful to people, it can damage freshwater streams, which is what happened when TDS levels spiked in Dunkard Creek this month. West Virginia’s DEP is investigating whether TDS-laden wastewater from a coal mine near the creek could be to blame. It is also investigating reports that wastewater from natural gas wells may have been illegally dumped into the stream. Gas drilling companies currently dispose of their wastewater in Pennsylvania’s municipal sewage plants and in some industrial treatment plants, which then discharge it into rivers and streams. The U.S. Environmental Protection Agency warns against this form of treatment, because the plants aren’t equipped to remove TDS or any of the chemicals the water may contain. Of even more concern, TDS can disrupt the plants’ treatment of ordinary sewage, including human waste. When U.S. Steel and Allegheny Energy complained about the Monongahela’s water in 2008, the DEP found almost twice as much TDS as the agency considers safe. DEP officials blamed some of the problem on the river’s low flow last summer and on abandoned mines that have leaked TDS into the river for decades. What apparently tipped the balance, however, was the drilling wastewater that nine sewage plants were discharging into the river. Steve Rhoads, president of the Pennsylvania Oil and Gas Association, an industry trade group, argues that most of the TDS came from abandoned mines, not from drilling wastewater. A study prepared for a different trade group came to the same conclusion. Rhoads also says Pennsylvania’s waterways "are not anywhere near" their capacity to handle TDS and that the DEP’s estimate of how much wastewater the industry produces is "completely exaggerated." DEP chief John Hanger is confident his agency can control the wastewater problem. In April drilling companies began temporarily trucking their wastewater to other states or to sewage treatment plants in other parts of Pennsylvania: the idea is to dilute it by spreading it among more rivers. Hanger said a more permanent solution will begin on Jan. 1, 2011, when he has promised that new regulations will be in place requiring that the wastewater be treated by plants capable of removing TDS. Currently, no plant in Pennsylvania has the technology to remove TDS, and it’s unlikely that new plants capable of doing so can be built by 2011. The company whose bid is furthest along in the permitting process says its plant won’t be ready until at least 2013. And at its peak that plant would be able to treat only 400,000 gallons of wastewater a day. 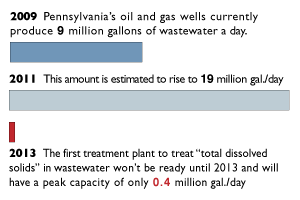 The DEP would need 50 plants that size to process all the wastewater expected by 2011. In the meantime, the DEP is allowing municipal sewage plants to continue taking drilling wastewater, even though none of them can remove TDS. "That’s not what these municipal plants are designed to handle – the DEP is inviting legal problems as well as environmental problems," said Bruce Baizel, a senior attorney for the Oil and Gas Accountability Project, a Colorado-based nonprofit that focuses on the environmental impact of natural gas drilling. But ProPublica found that the DEP was caught off guard by the amount of wastewater the industry would produce when drilling began in the Marcellus Shale, a deeply buried layer of rock that some analysts say holds enough gas to meet the nation’s natural gas needs for more than 20 years. When energy prices spiked in 2008, drillers flocked to Pennsylvania, bringing sorely needed revenue and jobs. A recent Pennsylvania State University study touted the benefits drilling brought last year: 29,000 jobs and $240 million in state and local taxes. "Cha-ching!" 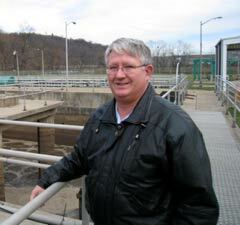 is how Francis Geletko, financial director for the sewage plant in Clairton, described his first thought when he learned that drillers would pay five cents a gallon to get their wastewater processed at his plant. The 1960s-era facility is in such desperate need of modernization that workers still use shovels to remove solid waste from its traps and filters. Many of the state’s plants are similarly outdated: A recent report commissioned by Gov. Ed Rendell concluded that Pennsylvania needs to spend $100 billion over the next 20 years to maintain its aging sewage plants and pipelines. 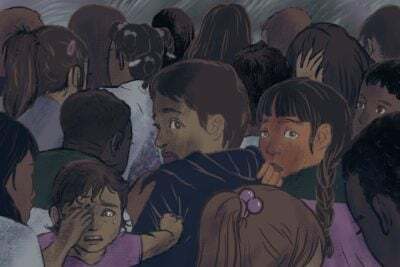 "At the time it was a new subject for all of us," Golanka said. "There was a limited amount of conversation[with the DEP] until the issue with TDS last summer." "As the industry was ramping up, we were ramping down," he said. "In order for us to really catch these people we have to almost have an inspector coincidentally there on the day that these trucks pull up, because we have so many facilities and so few staff." The DEP is supposed to inspect major plants every two years, but ProPublica found that most inspections are triggered by pollution violations or equipment failures. A review of inspection records at the DEP’s Pittsburgh office showed that only three of the nine plants along the Monongahela were inspected in the year before Allegheny Energy and U.S. Steel complained. One plant hadn’t been inspected in five years. 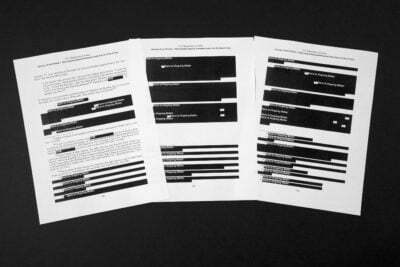 DEP officials warned that those records may not have been complete, because inspection reports aren’t filed electronically and pages from the files may have been sitting on an employee’s desk during the two days when ProPublica was there in March. After Aunkst heard about the trucks, he wrote a letter to all the state’s sewage plants, reminding them that they couldn’t take the wastewater without a special permit. 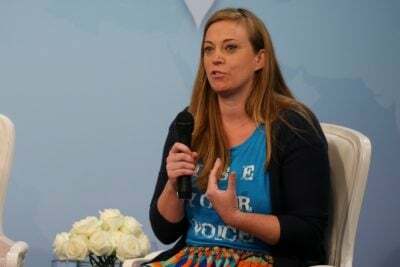 "We were trying to scramble, to put it bluntly, to get our act together to figure out how we were going to address these withdrawals as well as the disposal issues," Aunkst said. The DEP did two things to quickly lower the Monongahela’s TDS level. It unlocked dams upriver to flush out some of the TDS. And it ordered nearby sewage treatment plants to reduce the amount of drilling wastewater they accepted to just 1 percent of the total amount of water that flowed through their plants each day. "Basically, it shuts us down," Lou D’Amico, executive director of the Independent Oil and Gas Association of Pennsylvania, told a local newspaper. "We can’t generate fluids we can’t dispose of." The DEP issued a news release assuring the public that the TDS was "not considered a major human health risk … But under the circumstances, if consumers have concerns, DEP recommends consumers use bottled water for drinking and preparing food until the exceedance is eliminated." But by January, the uproar had subsided. TDS levels in the Monongahela were back to normal and plant operators began accepting the wastewater again, although in smaller quantities. "We didn’t want to be the ones to stop the economy from growing in this area, and we felt that we were helping the country become energy independent," said Joe Rost, executive director at a sewage plant in McKeesport, 14 miles south of Pittsburgh. "Every time you set an aggressive goal generally you have a transition period to get there," said Jon Capacasa, the EPA’s top mid-Atlantic water pollution enforcer. To keep the water safe until then, the DEP has added TDS monitors along the Monongahela. And before the DEP allows a sewage plant to accept drilling wastewater, the agency will assess the current TDS level in the stream where the water will be discharged, to make sure it can handle the additional load. A spokesman for Larson Design Group, whose application is furthest along in the process, expects that after it gets its permit it will need at least 40 months to build the plant and begin operating. Drilling has slowed in Pennsylvania this year, because natural gas prices have dipped to about a third of what they were at the peak of the boom last summer. But the lull will almost certainly be temporary. The DEP expects to issue permits for approximately 1,700 wells in the Marcellus Shale in 2009, up from 450 in 2008. "Companies are willing to get these permits now because they know that competition is going to heat up," said Raoul LeBlanc, a senior financial consultant at PFC Energy, which provides financial and political advice to energy companies and governments. "When prices rise they will want to be the first to drill more wells." Congress is preparing for the expansion, too. A group of Democratic legislators has introduced a bill that would allow the federal government to regulate the hydraulic fracturing drilling process under the Safe Drinking Water Act. 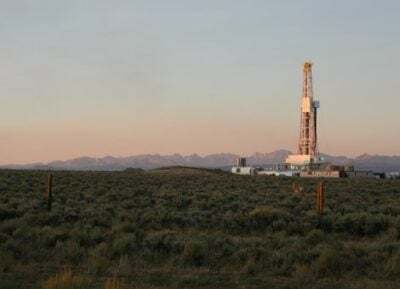 The bill prompted an immediate backlash from the oil and gas industry, which says state agencies like the DEP are doing a good job of regulating drilling. Update: This story appeared on Oct. 4 in the Pittsburgh Post-Gazette and on Oct. 16 in the Philadelphia Daily News. ProPublica has updated the following sentences in the story in response to correspondence with John Hanger, secretary of Pennsylvania’s Department of Environmental Protection. The new information is italicized; words that were removed are in parentheses. Several of the clarifications reflect the fact that the story was reported over five months and several of the numbers quoted were refined. None of the new wording alters the story’s main finding, which is that over the next few years, Pennsylvania faces a flood of wastewater from gas drilling that goes far beyond its current or projected processing capacities. The DEP is supposed to inspect major plants every two years (once a year), but ProPublica found that most inspections are triggered by pollution violations or equipment failures. The DEP expects to issue permits for approximately 1,700 (700) wells in the Marcellus Shale in 2009, up from 450 in 2008. 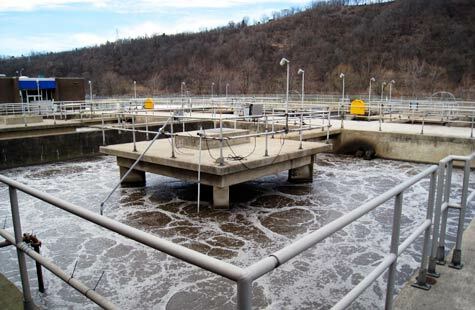 Gas drilling companies currently dispose of their wastewater in Pennsylvania’s municipal sewage plants and in some industrial treatment plants, which then discharge it into rivers and streams. Note: Pennsylvania’s industrial treatment plants, like its municipal plants, are not equipped to remove total dissolved solids or TDS, the substance that is the focus of this story.